Gary Neville says Jose Mourinho has learned that Jesse Lingard, Anthony Martial, Marcus Rashford and Romelu Lukaku can provide Manchester United with a genuine threat on the counter-attack. The Red Devils boss has looked to avoid using the quartet in the same Manchester United team in the 2017-18 season so far despite their attacking potential. Mourinho went with Lingard, Lukaku and Martial in his starting XI at the Emirates Stadium on Saturday evening as Manchester United looked to extend their winning run to four games. The Red Devils made the breakthrough in the fourth minute through Antonio Valencia before Lingard doubled the away side’s lead in north London. Arsenal managed to halve the deficit through Alexandre Lacazette’s close-range finish early in the second half as the Gunners looked to push forward to score an equaliser. Manchester United restored their two-goal cushion thanks to Lingard’s second of the night to secure three points for the visitors despite Paul Pogba’s sending off. The Red Devils managed to exploit Wenger’s side on the counter-attack ahead of the visit of the Premier League leaders Manchester City next Sunday. 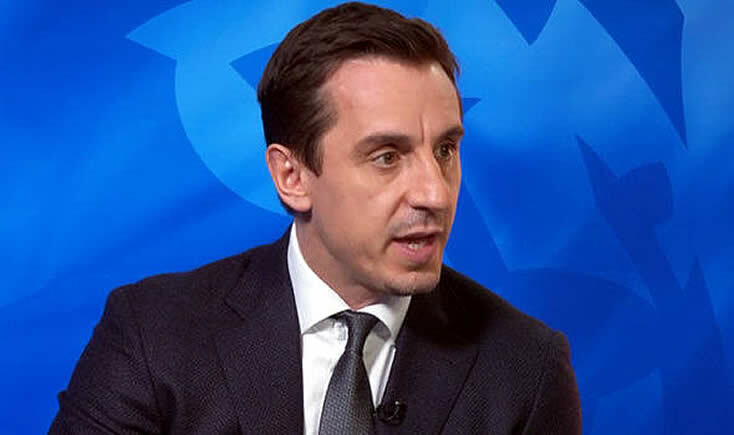 Former Manchester United defender Neville believes Mourinho’s side have exciting potential on the break which could hurt the Citizens at Old Trafford next weekend. “You would argue, given what happened at Arsenal on Saturday, that United do have that counter-attack ability with Anthony Martial, Marcus Rashford, Romelu Lukaku and Jesse Lingard, and that they do have the ability to score from set-pieces, and they are a better defensive unit than Southampton or West Ham,” Neville told his Sky Sports podcast.